dotConnect for SQLite offers both high performance connectivity to the SQLite database and a number of innovative development tools and technologies. It supports a wide range of SQLite-specific features, such as user-defined functions, CEROD and SEE encryption extensions, support for enabling SQLite extensions with connection string parameters, etc. dotConnect for SQLite offers enhanced ORM support with a bundled visual designer for ORM models - Entity Developer. 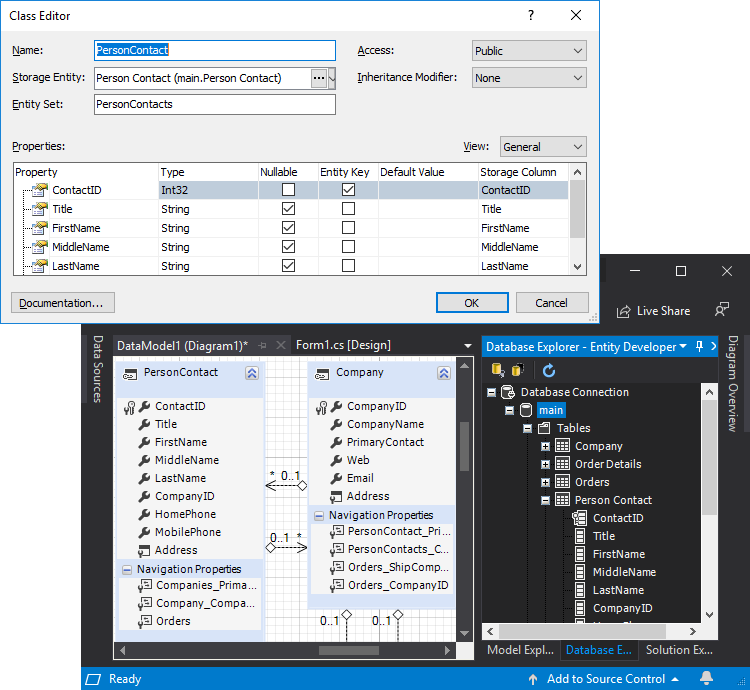 dotConnect for SQLite supports ADO.NET Entity Framework (including EF Core), NHibernate, and LinqConnect (formerly known as LINQ to SQLite) - our own ORM solution, closely compatible to Microsoft LINQ to SQL, while extending its functionality with its own features. You can get a significant discount, and even a free license, by spreading a word about dotConnect for SQLite.